The Eastern Maninka are a subgroup of a much larger people group known as the Mande, who inhabit the western portion of Africa's northern plains and coastal forests. The Maninka are known for their ingenuity and leadership qualities, as well as their trading, farming and mining abilities. They are the descendants of the people of the once great Mali Empire. The empire amassed a great fortune taxing the trade of gold and ivory in the region. Before becoming a part of the empire, the Mande were credited with revolutionizing agriculture in the area; they discovered the use of millet. The Maninka speak a Manding language that is also called Maninka. 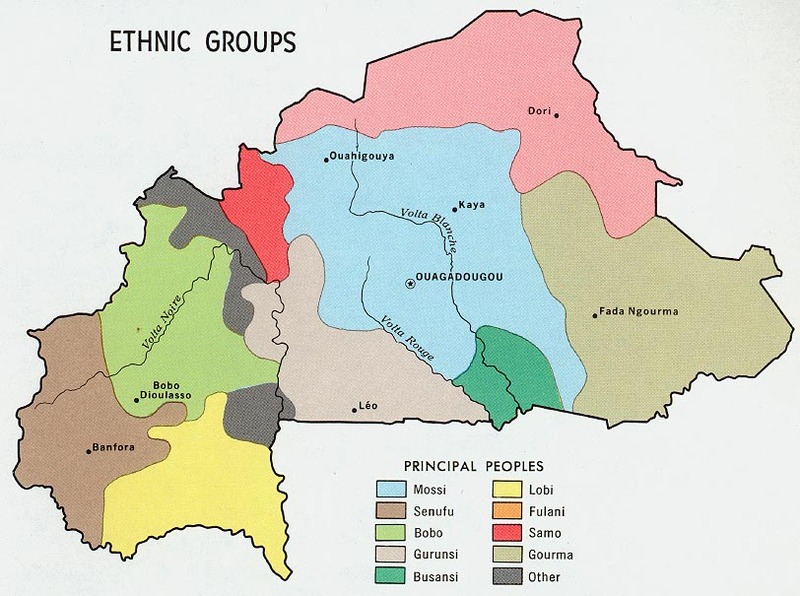 Manding languages are spoken in many West African nations. Although some of these languages have no written script, their oral literature is regarded as some of the best in the world. Eastern Maninkas live all over West Africa, including Burkina Faso. The Eastern Maninka live in large, walled-in villages. Within the villages, families live in separate, fenced-in compounds. Their homes are round, thatch-roof huts made of mud and sun-dried brick. Few of the homes have electricity or running water. The Maninka primarily work as farmers, miners, or merchants. Cattle are also raised, but only to gain prestige within the community or to use in ceremonies. While each village is ruled by its own chief, the oldest descendants of the first Maninka settlers are counted as nobility and also have a certain amount of authority. There is a clear social order among the Maninka that ranges from nobility to commoners. The lowest and most despised class consists of craftsmen and former slaves. Maninka society is patriarchal, or male-dominated. The line of descent is traced through the fathers, and inheritances are passed down through the males. Men commonly have more than one wife. Some of the Maninka prefer living in cities where they can develop a trade or work in a service occupation. Nevertheless, while living in the cities, they usually remain attached to their villages in some way. A typical Maninka meal consists of steamed rice covered with a spicy stew of vegetables and meat or fish. Mangoes, bananas, oranges, papayas, and cashews add balance to their diet. The Maninkas value such characteristics as honesty, logical thinking, and the ability to speak in public. They do not approve of dishonesty. Ironically, however, many Maninkas use manipulation and deceit as methods of getting ahead in society. For this reason, they are a very suspicious people. Men rarely have close personal relationships with each other because they expect even their closest friends to be cunning and deceitful. The Eastern Maninkas have adapted the doctrines of Islam to their own beliefs, resulting in a wide variety of sects. Islam was first introduced in West Africa by Muslim merchants. Their desire was to enhance the region both religiously and culturally. Since the Maninkas were not required by Islamic leaders to abandon their old customs and mystical beliefs, Islam was simply mixed with their traditional religions. Divination, healing, and the casting of spells are all important parts of their religion. In fact, Maninka Islam approves and even encourages certain magical procedures-particularly those directed towards healing the sick, preventing misfortunes, and ensuring prosperity. Sadly, fear plays a big role in the spiritual lives of the Maninka peoples. It is not uncommon for someone to first pray in the village mosque, and then sacrifice a chicken to the spirit of the land on which his village rests. Practically every villager has at least one or two charms in his possession. Although evangelistic tools such as the New Testament and the JESUS Film have been made available to the Maninkas, the villagers are very reluctant to accept Christ. Prayer is the key to reaching these precious souls with the gospel of Jesus Christ. * Scripture Prayers for the Maninka, Eastern in Burkina Faso. * Ask the Lord of the harvest to send more laborers into Burkina Faso. * Ask the Holy Spirit to grant wisdom and favor to mission agencies focusing on the Maninka peoples. * Pray for the effectiveness of the JESUS Film among the Eastern Maninkas. * Pray that God will give Maninka believers boldness to share Christ with their own people. * Ask the Lord to bring forth a triumphant Maninka church for the glory of His name.